The rapidly growing field of antibody research is the result of many advancing technologies allowing current developments to take advantage of molecular engineering to create tailor-made antibodies. Antibody Methods and Protocols attempts to provide insight into the generation of antibodies using in vitro and in vivo approaches, as well as technical aspects for screening, analysis, and modification of antibodies and antibody fragments. 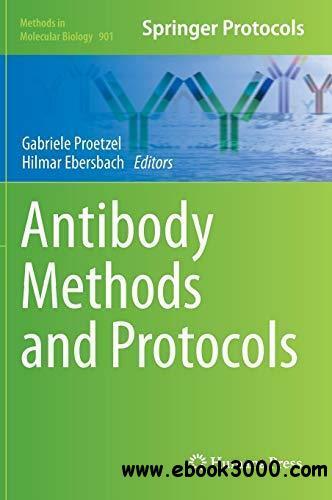 The detailed volume is focused on basic protocols for isolating antibodies and, at the same time, it selects a range of specific areas with the aim of providing guides for the overall process of antibody isolation and characterization as well as protocols for enhancing classical antibodies and antibody fragments. Written in the highly successful Methods in Molecular Biology series format, chapters include introductions to their respective topics, lists of the necessary materials and reagents, step-by-step, readily reproducible laboratory protocols, and tips on troubleshooting and avoiding known pitfalls.Authoritative and easy to use, Antibody Methods and Protocols provides a broad and useful background to support ongoing efforts by novices and experts alike and encourages the development of new imaginative approaches to this vital area of study.